I’m just not as young as I used to be. I can tell that I was at an izakaya last night because all of that sake floating around my liver is taking its toll. However, slow-moving Saturdays usually mean fun Friday nights. A group of Yuki’s co-workers got together last night for food and drinks at Chizakaya, a newly opened izakaya here in Chicago. 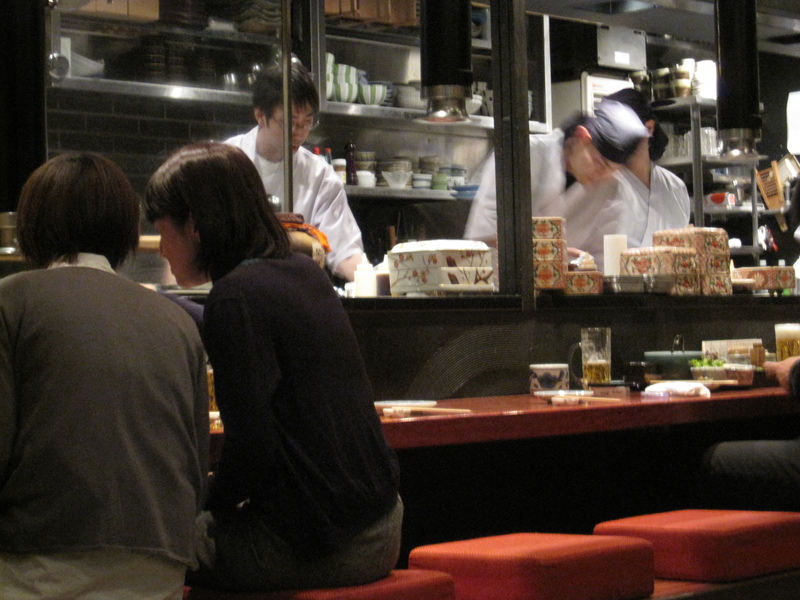 Actually, it’s probably the only real izakaya in town. 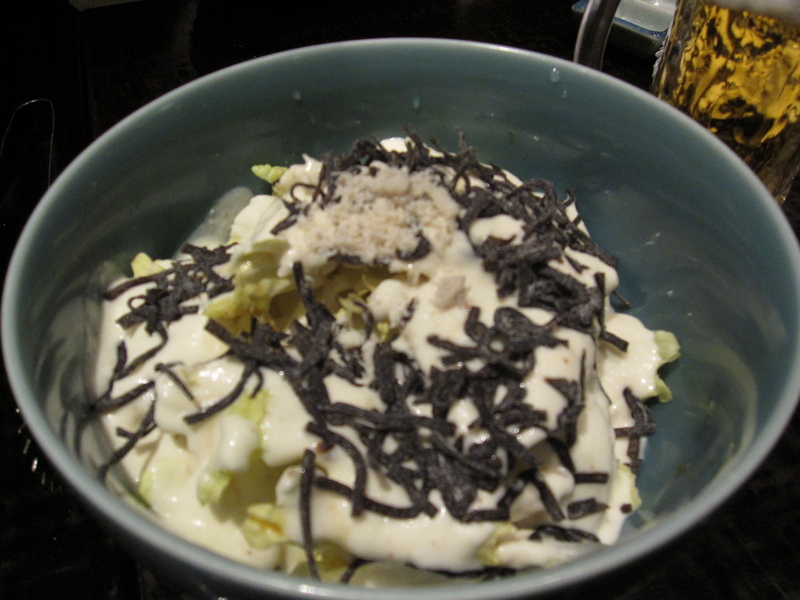 While there are a few places claiming to be izakayas, they’re really just sushi places. Chizakaya doesn’t serve any sushi at all. I first heard of Chizakaya a few months ago when my mom sent me an article in the Huffington Post about the very fact that there aren’t any real izakaya’s in Chicago, until now. 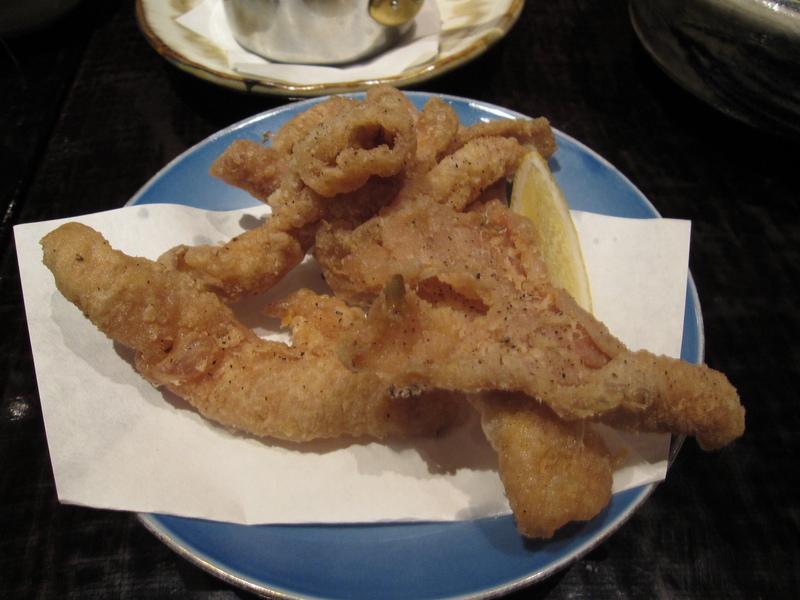 It also mentioned that the group that opened Chizakaya came from L2O, arguably Chicago’s finest seafood restaurant. Naturally, it made the list of places I wanted to go. With Yuki’s group meeting there last night I took the opportunity and ran with it. I got there before the rest of the group, except for the two white guys in her work team (everyone else is Japanese). We sat at the bar and had a glass of sake while waiting for everyone else. I will say that the bartender knows his sake! It’s not a huge sake list, but a very well put together one with a good variety at all price points. He also gave us each a sample of sweet potato shochu, something none of us have ever had. It’s actually quite good. Once everyone showed up they took us to the back room at one of the two big tables. 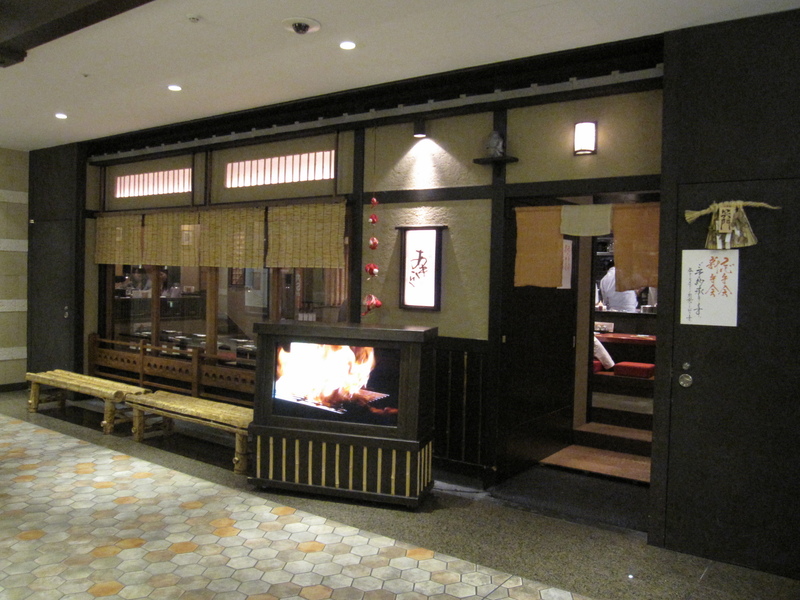 I like it much better back there because the kitchen is open and the atmosphere is a little more izakaya-like. Our waitress was also well-trained in the art of sake flavors as well as their menu. 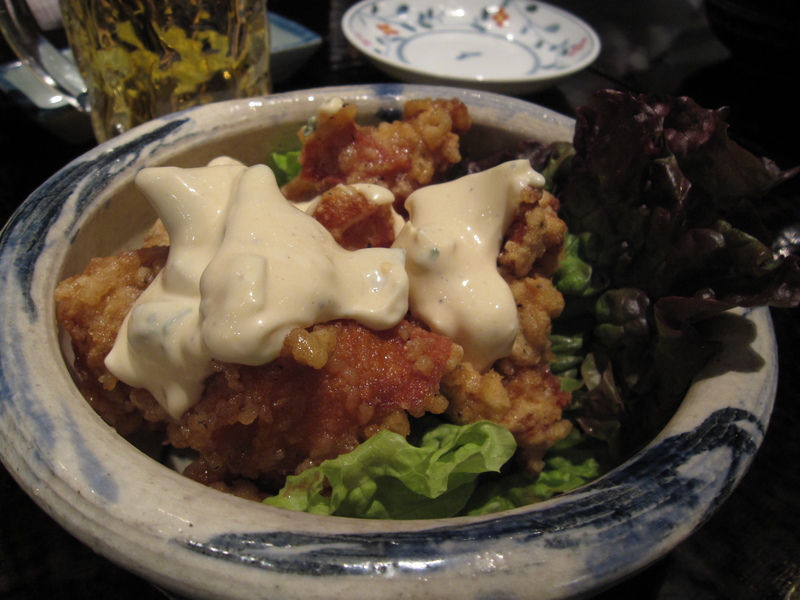 True to being an izakaya, the menu is based on small plates and nibbles to go along with drinking. We ordered a bunch of things and just grabbed and ate as we went, along with numerous bottles of sake. Since I’m drinking for 3, I’m struggling to keep my eyes focused as I write this. 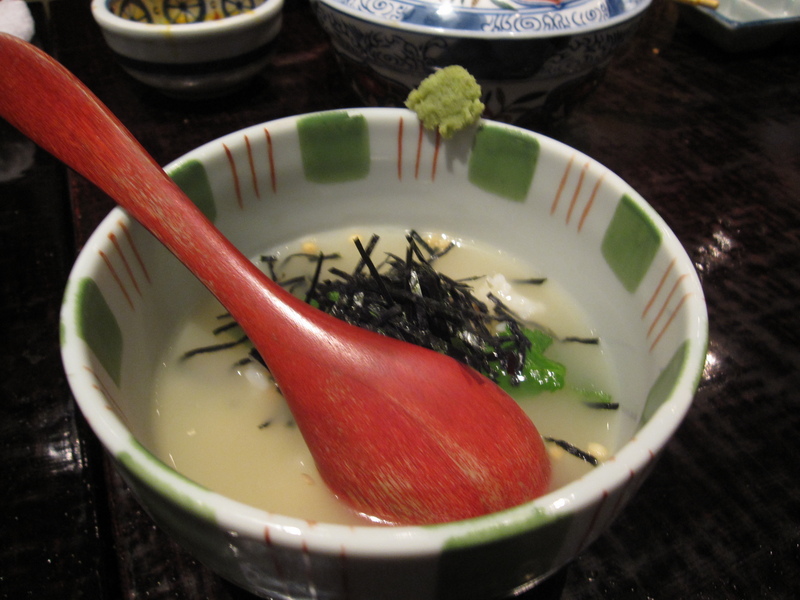 As we sat they brought out little bowls of miso soup. Really good miso, they got the ratio of miso-to-dashi right. 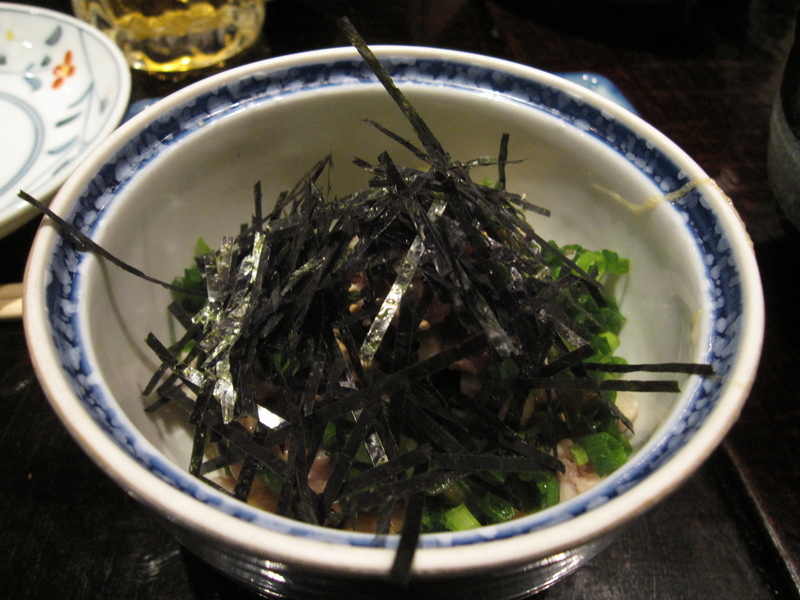 Instead of wakame which is typically put in miso soup they used hijiki. Japanese sweet potato fries with spiced mayo. Puffed pig ears with togarashi soy dipping sauce. Move over potato chips, these little cracklins are fantastic! Crispy pork with a slow poached egg. 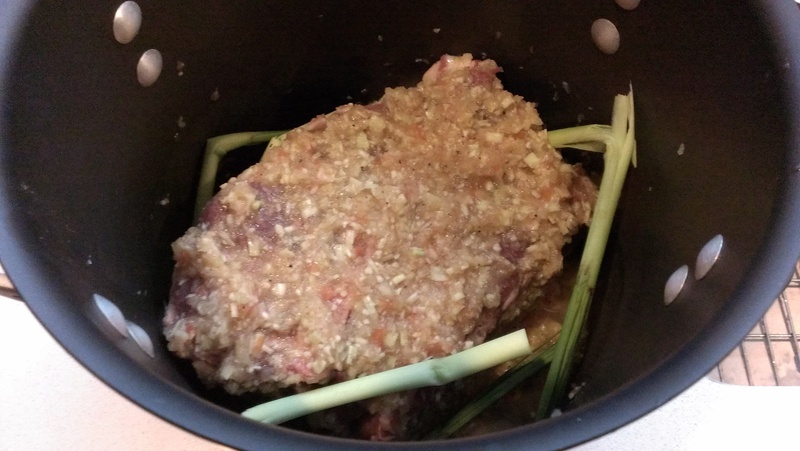 Pork shoulder gyoza. The gyoza could have been a little bit crispier, but the braised pork shoulder filling more than made up for that shortcoming. Oysters with bacon and shishito. I don’t know if the bacon was over smoked or if they added a little liquid smoke, but there was a bit too much smokiness to this one. The natural sweetness of the beautiful little oysters was lost. Cut back on the smoke and this one is a winner. Grilled ika togarashi with a yuzu vinaigrette. This was some of the most tender squid I’ve had in Chicago. 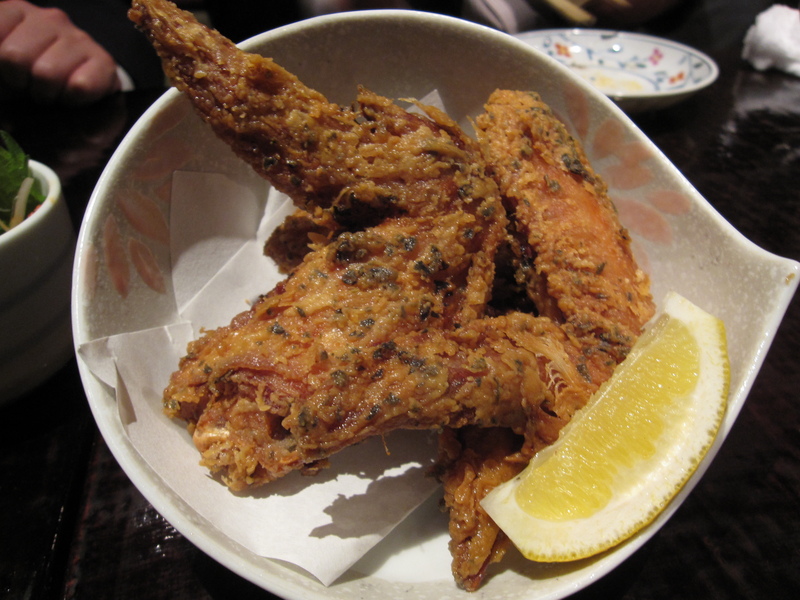 This was one of the night’s specials, duck liver karaage with scallions. Little deep-fried nuggets of ducky deliciousness! Home-made basket tofu with bonito flakes, scallions, ginger, and soy sauce. You haven’t had tofu until you’ve had a really good home-made tofu. This was a really good home-made tofu. Totally different beast than the store-bought packaged tofu. Very clean, very light, very tasty. Crispy-braised lamb belly with chopped edamame. This one was another of the night’s specials and quite honestly, one of the most special dishes I’ve ever eaten! 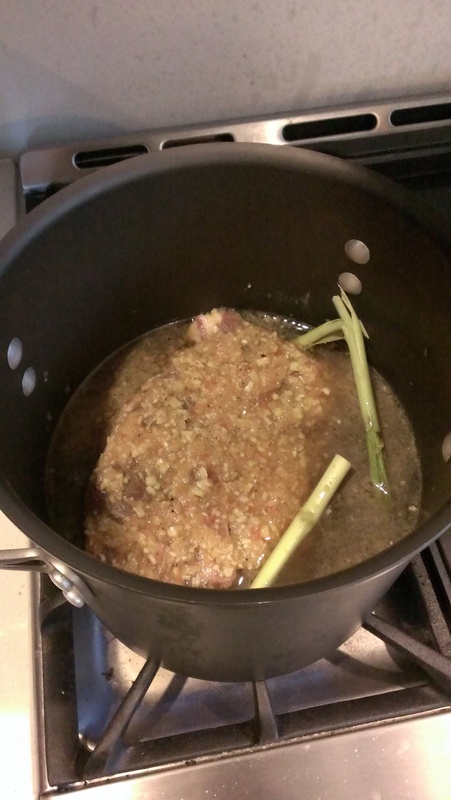 I’ve never had lamb belly before and after eating it am wondering why. You see pork belly everywhere as it’s one of the more trendy cuts of meat these days. As much as I love pork belly, and I do love pork belly, I’d drop it in a heartbeat to sink my teeth into some lamb belly. 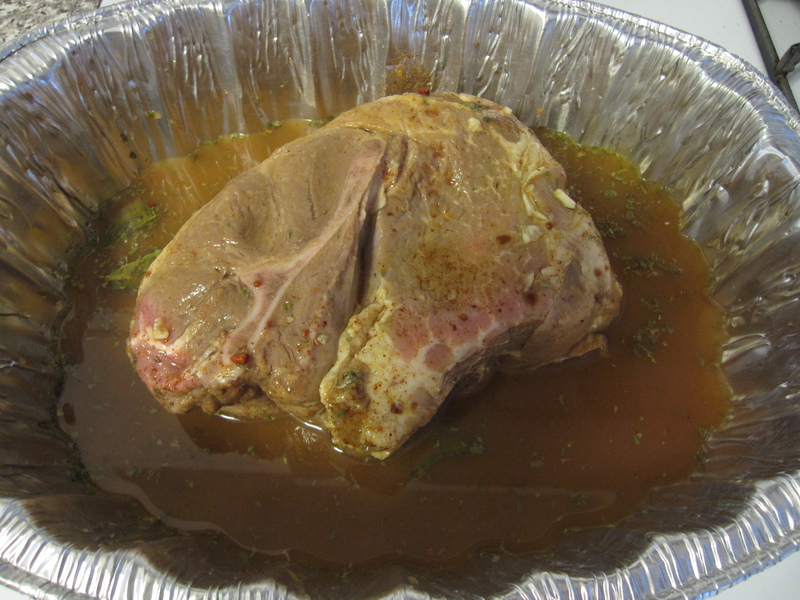 That layer of belly fat may be the most lamby of all lamb flavors that animal has. I absolutely luz it! The only thing that would have made this dish better would be to puree the edamame into a thick sauce instead of leaving it chunky. Otherwise it was perfect. 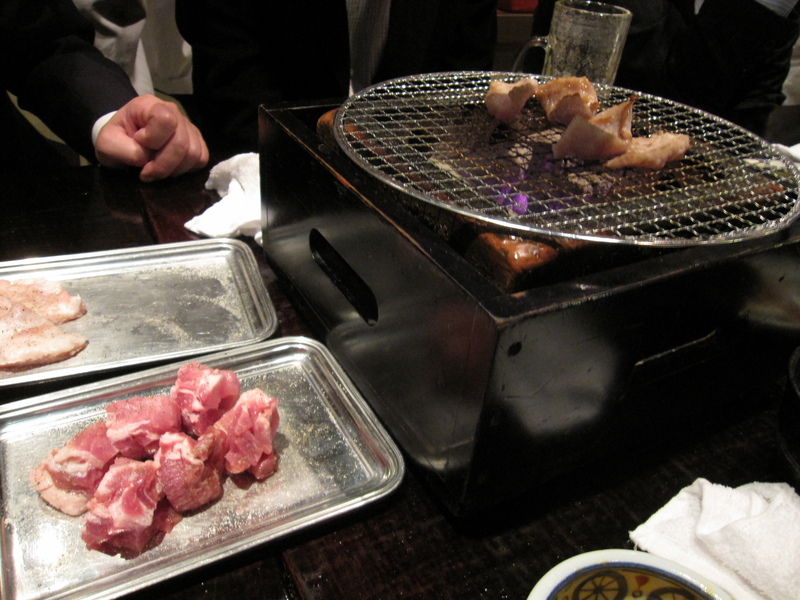 Now, I’ll show you all of the kushi-yaki (grilled skewers of meat) that we had. 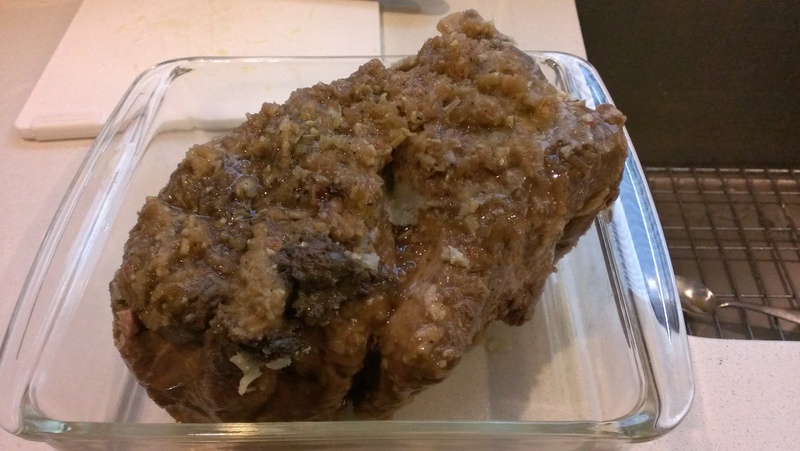 Chicken skin, mother of schmaltz how I love thee! 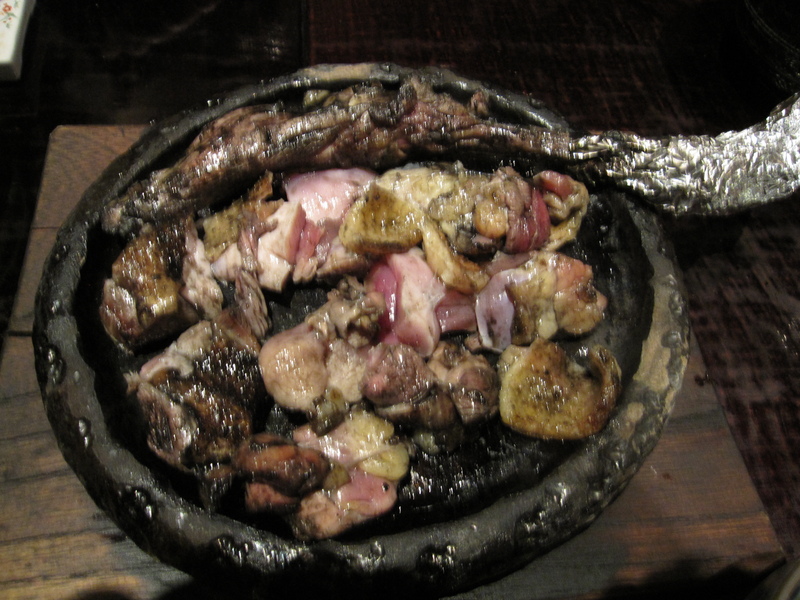 Chicken gizzards, next to liver and sweetbreads my favorite offal. 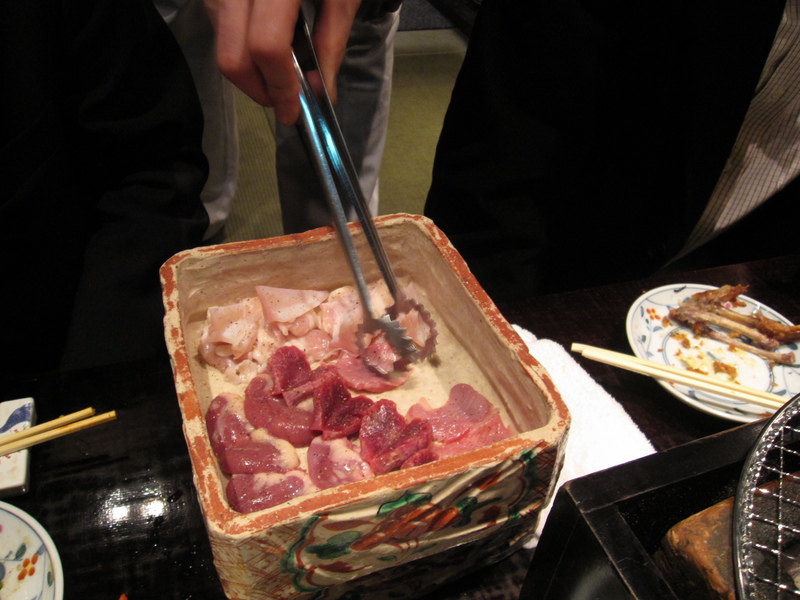 Beef heart, surprisingly tender and juicy for such a hard-working and lean muscle. Beets with shiso, both red and golden. We also ordered a the ramen and oden. Both of which were, quite honestly, very disappointing. The ramen came with braised pork, fish balls, a slow poached egg, radish, bamboo shoot, shredded scallions, and some nori. The ingredients were all top-notch, but the noodles were overcooked and soft while the broth wasn’t quite were it needed to be. With everything else so high quality I wonder why they’re using regular old store-bought quality noodles. This bowl of ramen just wasn’t up to standards. If it’s ramen you want, head over to Arami instead. The oden wasn’t even close to what oden is. 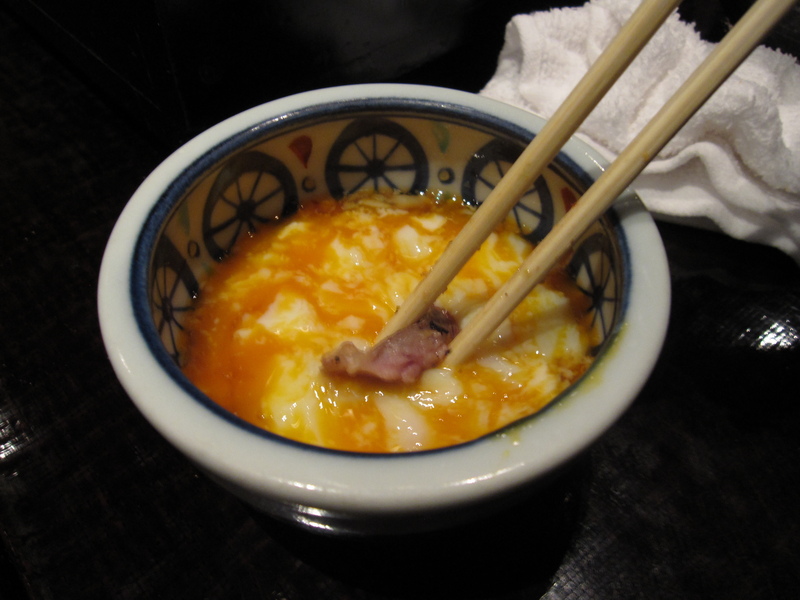 Oden should be a dashi broth filled with various fish cakes, potato, hard-boiled eggs, konyakku, etc. 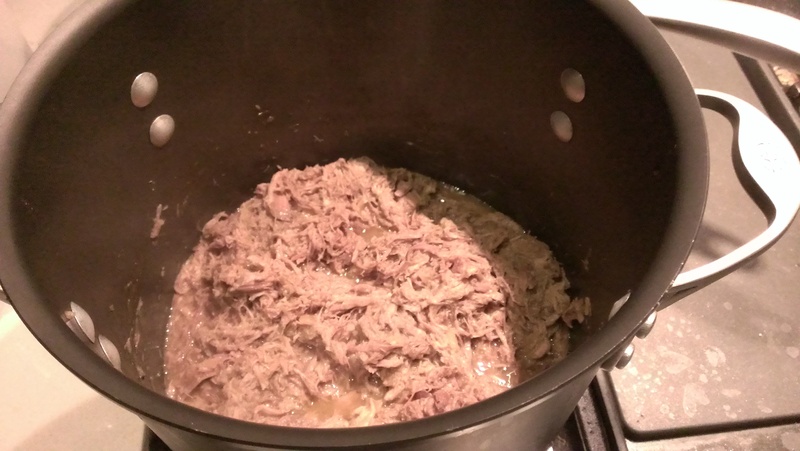 It’s something that we make at home a couple of times every winter. This was nowhere near oden. This was a soy-based dashi with overcooked soba noodles, a few spinach leaves, a couple of pieces of potato, some slices of radish, and a few adzuki beans. It wasn’t a terrible noodle soup, but they shouldn’t call it oden and they should be more careful with the noodles. Now, on to desserts, which were all very creative and well-prepared. Yuzu cake with green tea ice cream. Tofu cheese cake with kuro mitsu (black honey) and adzuki bean sorbet. 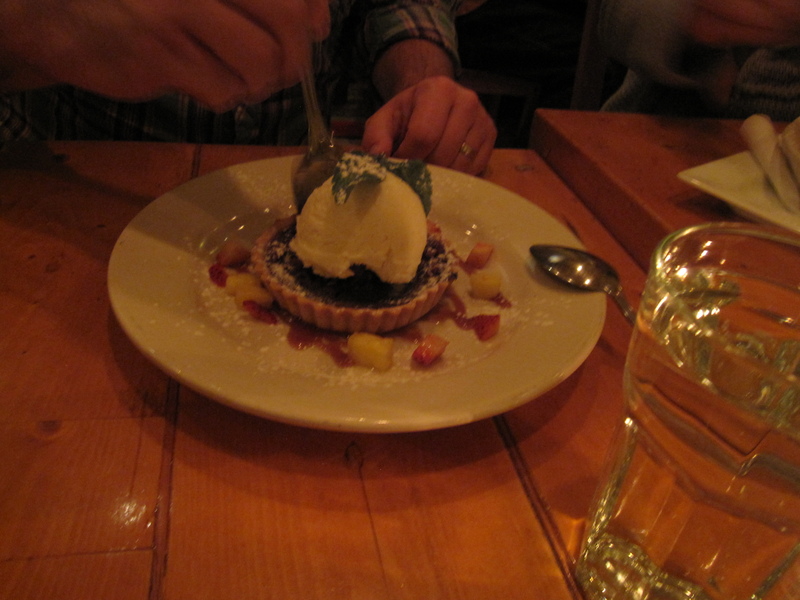 Usually you see adzuki bean ice cream, making it a sorbet was a nice touch. Chocolate ganache with puffed barley and black sesame ice cream. I will say, that all three desserts are among the best desserts I’ve ever had at a Japanese restaurant. 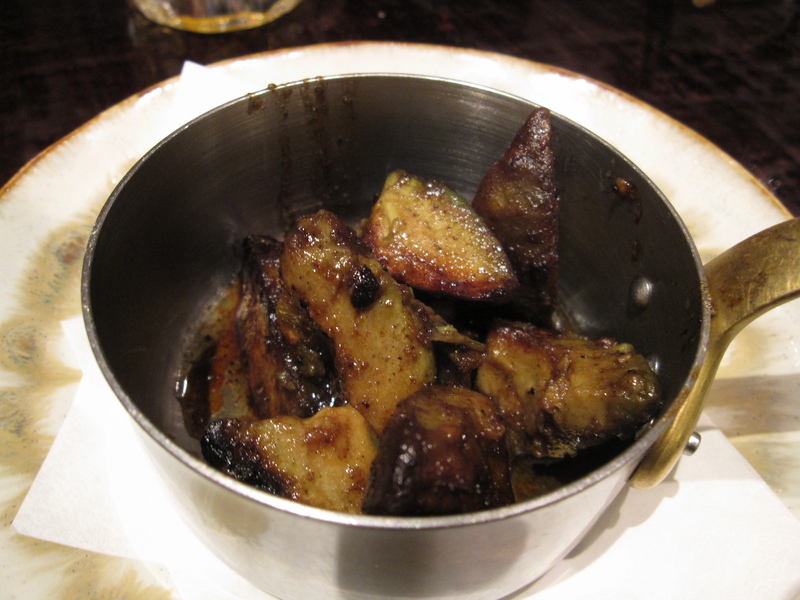 Overall, Chizakaya is a fun atmosphere with great food. There were a couple of lows, oversmoked bacon and poor noodle soups, but the rest of the food was outstanding. Don’t come here expecting a substantial sit-down meal. Come here expecting a great list of sake, beer, and cocktails with delicious small plates and skewers to match. 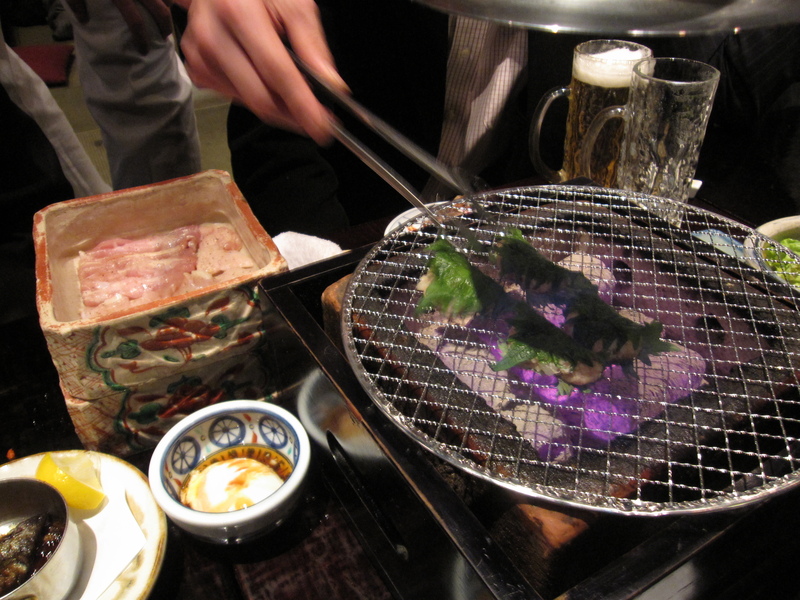 In that sense, this is a true izakaya. They also use top quality ingredients from local sustainable farms, and you can taste the difference. I will definitely go back, I just have to be more mindful of the amount of sake that I guzzle. This past Friday night Yuki and I had dinner with our friends Nick and Andrea. I was charged with finding a place that none of us had been to before. Yuki had mentioned a taste for tamales so I thought I’d find a Mexican joint. Since Nick and Andrea have travelled extensively through Mexico I knew it wouldn’t be hard to convince them to try Don Diablo with us. I believe Nick’s response was, “you had me at tamales”. So, we headed over the former Fonda Del Mar current Don Diablo, and we’re all damn glad we did. It’s a little out of any gentrified neighborhood so there aren’t many people who know about it yet, but I think that will all change soon. Especially since it’s BYOB, keeping costs down. The interior is very quaint. It has an exposed kitchen and the tables aren’t to close together that you’re bumping up against strangers. Music wasn’t too loud so you don’t have to shout in order to converse. The service was also pretty good. There was only one waitress, but with only 4 tables we never got antsy waiting for service. 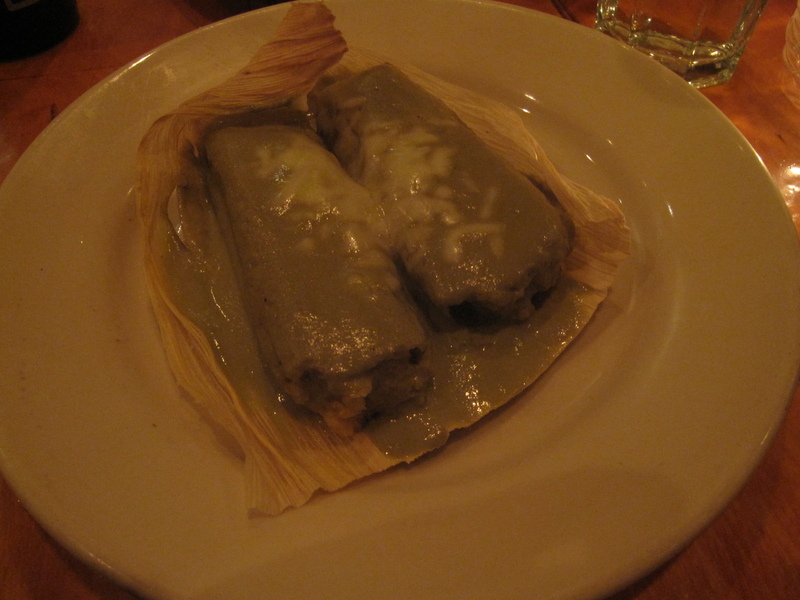 Of course, we started with the tamales. Chicken filled and topped with a green sauce and some melted cheese. 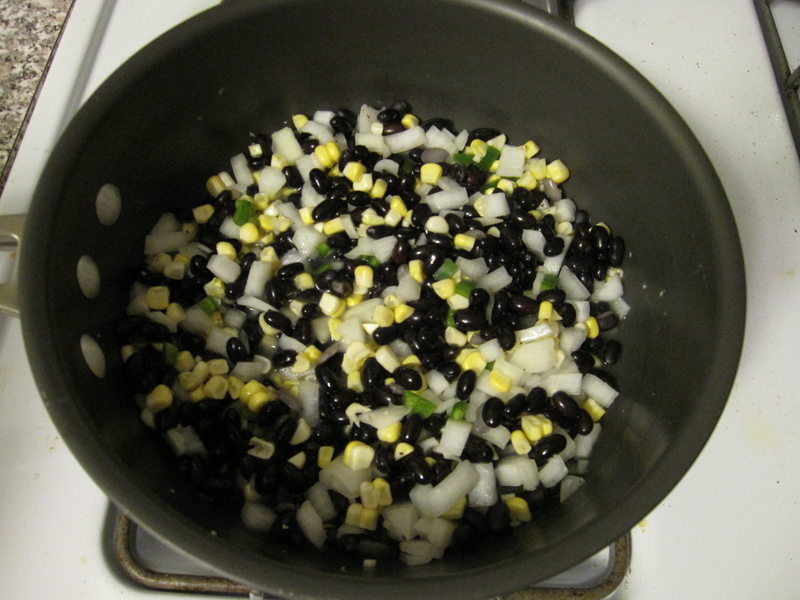 They put a lot of whole kernels in their masa which gave a little bit more sweetness to the dish. It took a couple of bites to get used to it, but after those couple of bites I found that I really enjoyed them. With two tamales per order we got two orders so that we each got our own. 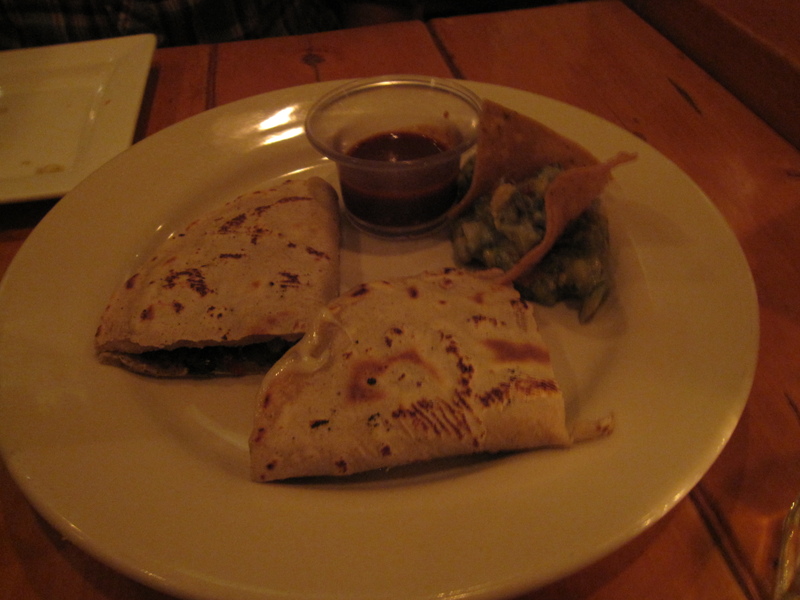 The other appetizer we tried was the Quesadillas De Huitlacoche. You almost have to order huitlacoche whenever you see it because it’s such a delicacy with a great earthy flavor. That said, I don’t think they really showcased the huitlacoche all that much in these. 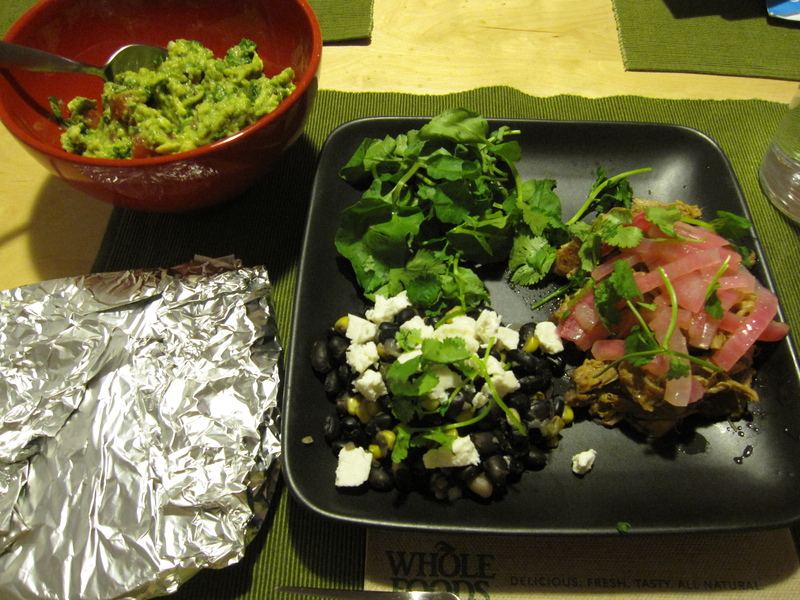 With chihuahua cheese, epazote, and guacamole on the side the huitlacoche almost got lost. 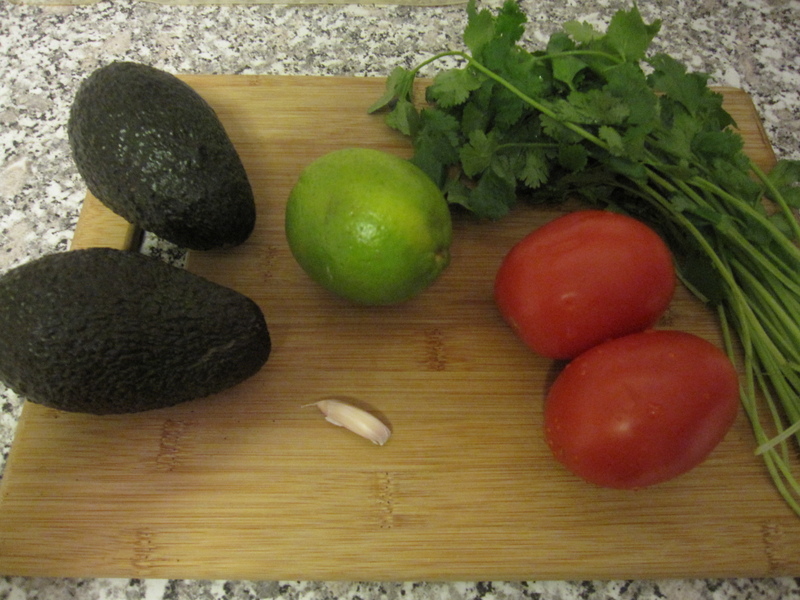 Don’t get me wrong, they were very good, but I wanted more huitlacoche flavor. Nick and Andrea each ordered the Enchaladas De Pollo. They did so for the mole. It had a very deep chocolate flavor, but was smooth and delicious. Not an outstanding plate, but a very very good one. I ordered Puerco en Mole. 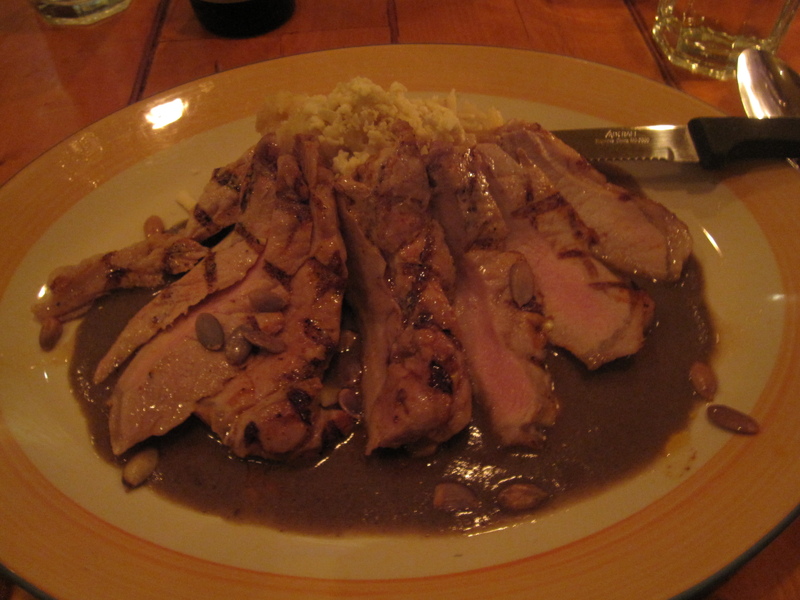 Really soft and perfectly cooked pork loin served in a green mole with pumpkin seeds. 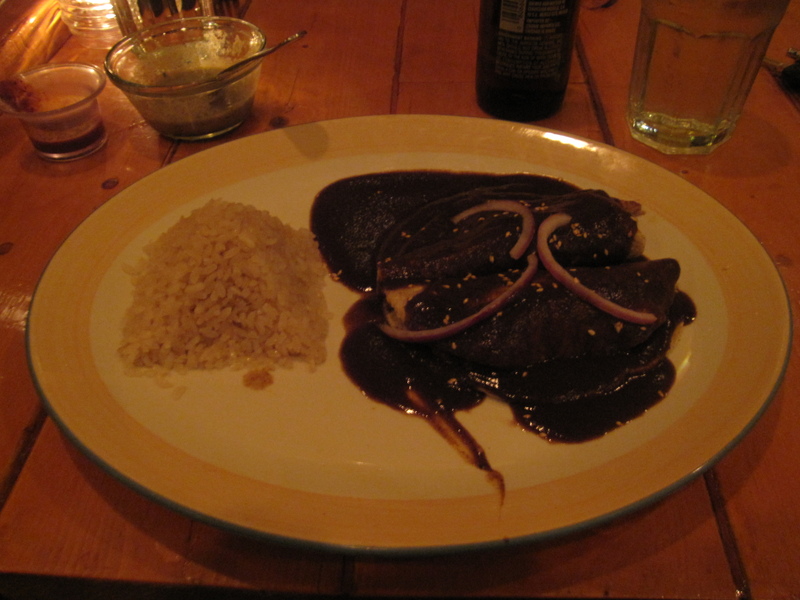 The mole was very light which was nice because it didn’t overpower the pork flavor. It also came with garlic mashed potatoes with melted cheese. Another very very good dish. Ah, the piece de resistance! Yuki ordered the Cochinita Pibil. 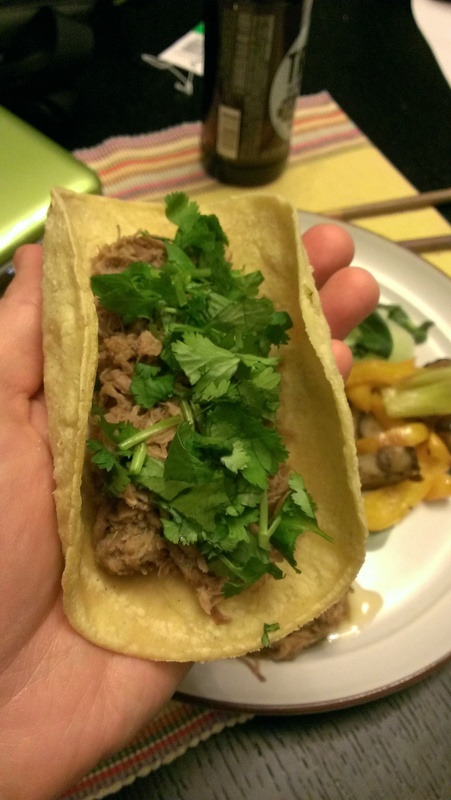 Slow cooked pork shoulder cooked in a banana leaf and served with black beans, pickled onions, and a spicy habanero salsa. 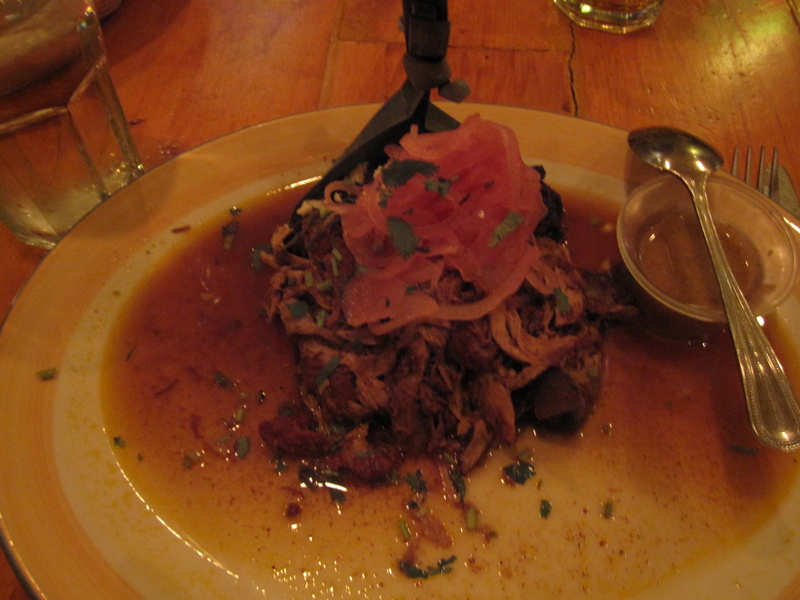 This was one of the best pork dishes I have ever eaten in Chicago. If it were socially acceptable I would dress myself in cochinita pibil and prance about town. 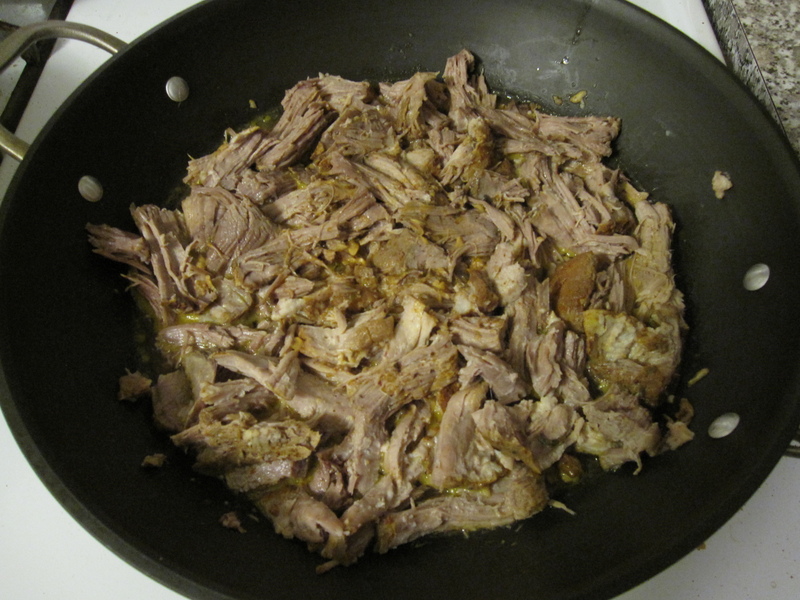 The pork was fall-apart tender full of flavor. 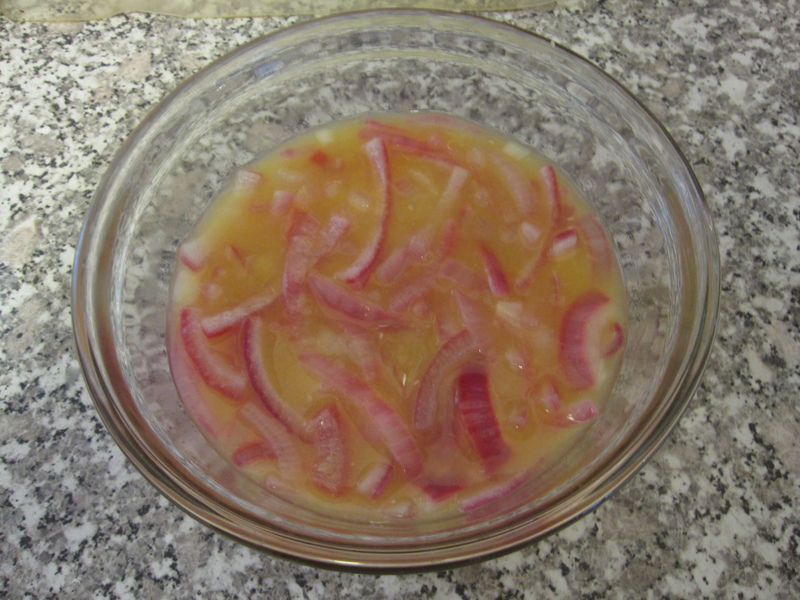 The pickled onion just explodes in your mouth. 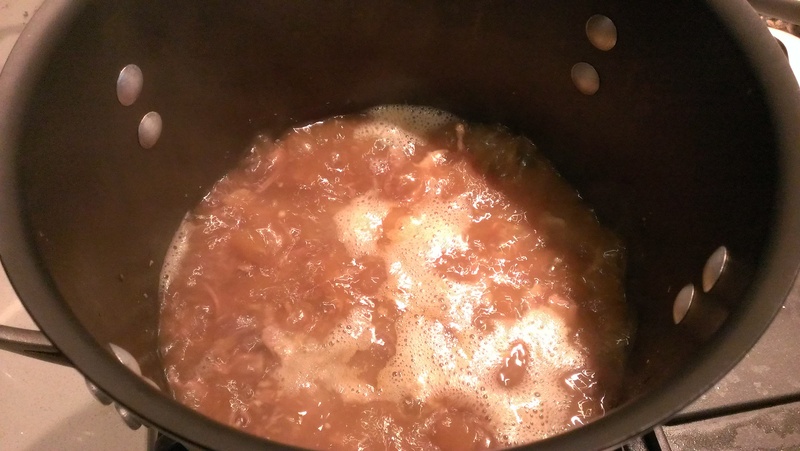 The beans add substance. 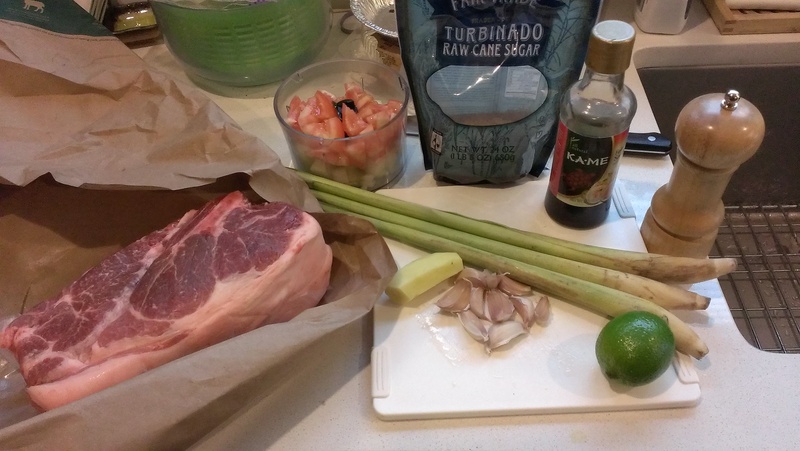 The habanero salsa was the perfect level of spice, a slow burn that coats your mouth but isn’t overpowering and makes you want to come back for more. This dish was truly impressive. We kind of shared three desserts. 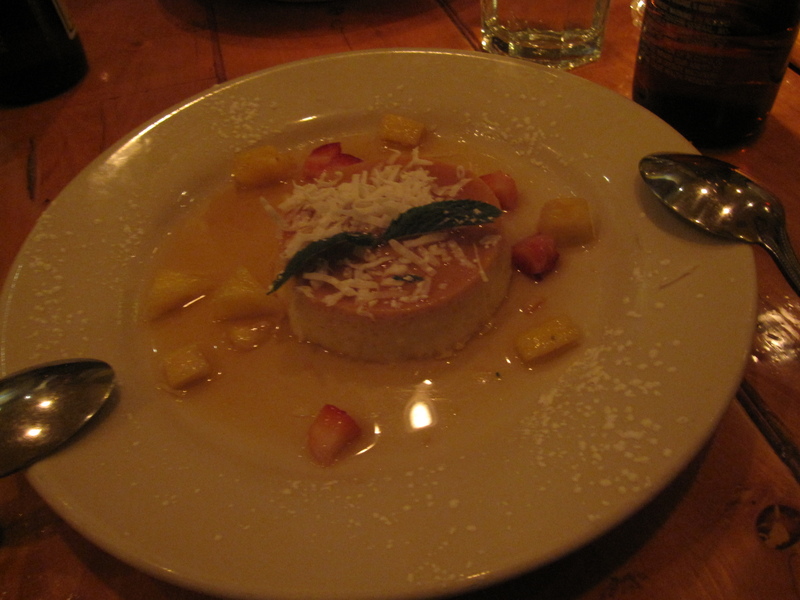 Coconut Flan was one of them. It was a little thick, but had a great flavor. 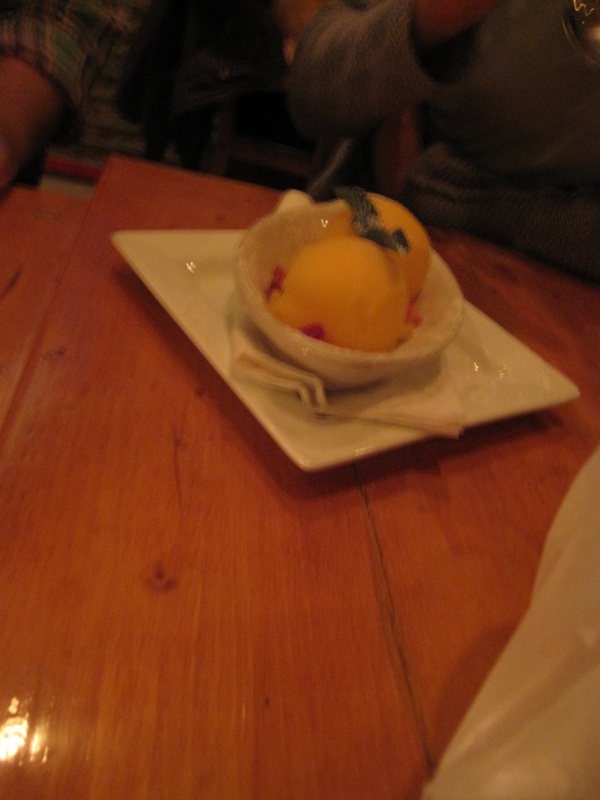 Mango sorbet, nice and light with a great natural sweetness. And a Pecan Pie with vanilla ice cream, not really what I think of when I think of Mexican dessert, but a delicious one nonetheless. I’m not sure if the desserts were homemade or brought it, but they were pretty good. 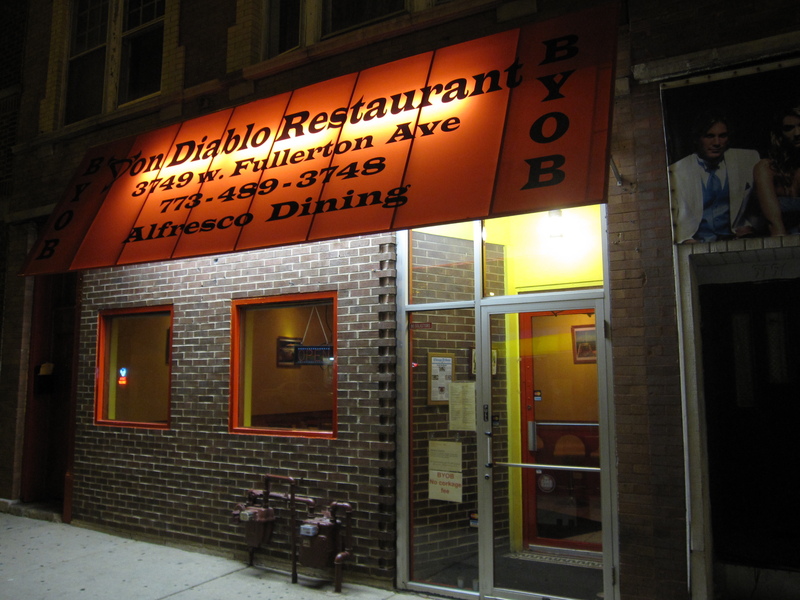 Overall, I find Don Diablo to be one of the best kept secrets in Chicago Mexican dining. 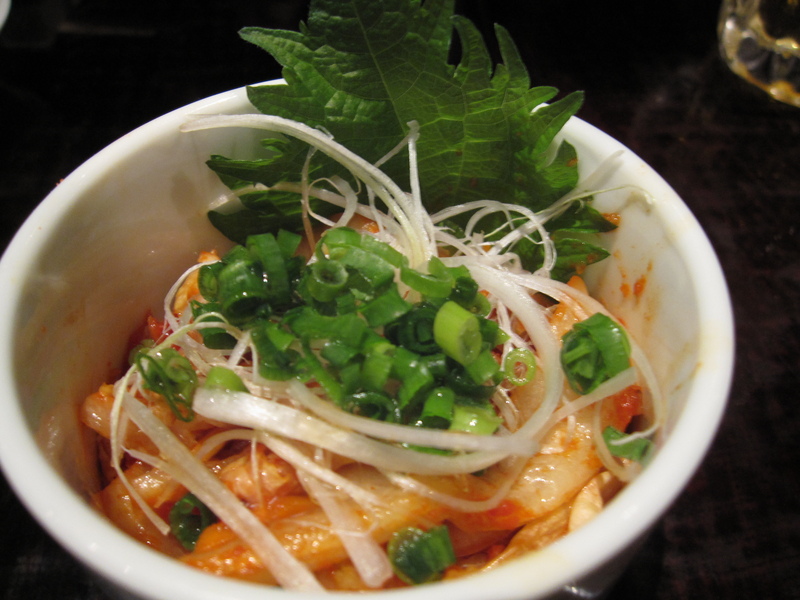 Every dish was cooked perfectly with nice balance and quality ingredients. Service was efficient and friendly. 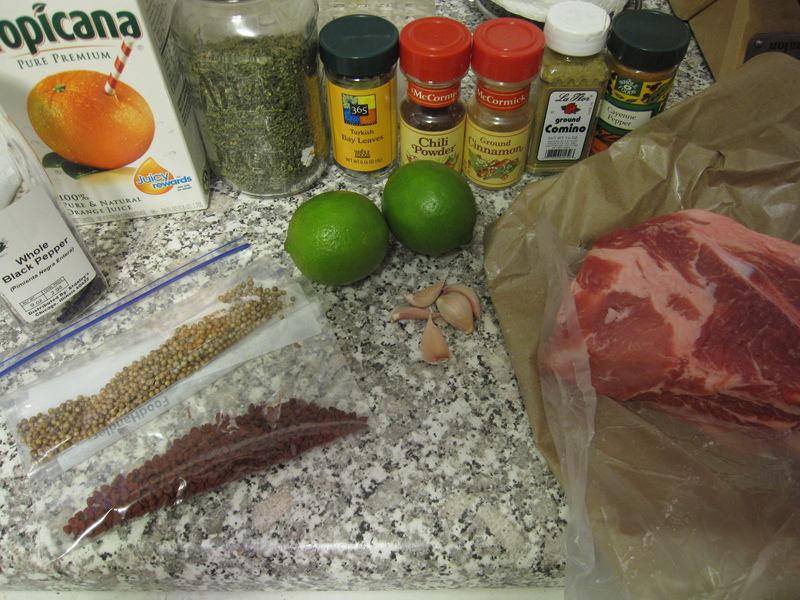 The price point was excellent, you’ll be hard pressed to find a better value for a Mexican meal like this. 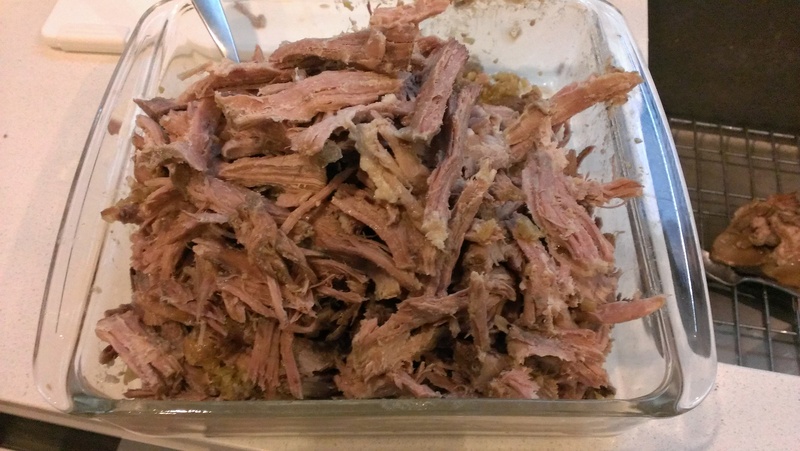 Cochinita Pibil is a true masterpiece. I would crawl on my hands and knees in the middle of January to get a taste of that again.